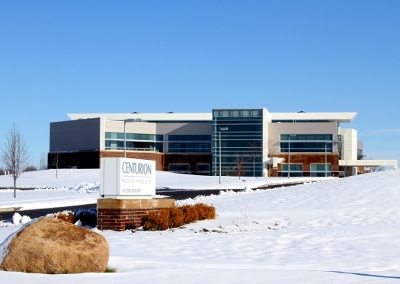 Williamston based Centurion Medical Products(formerly Tri-State Hospital Supply) had their new headquarters built on a 37 area site. 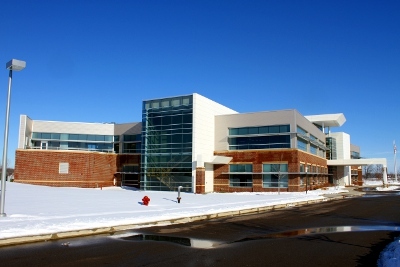 The design and construction of this building was awarded the 2010 CAM Green Project of the Year award. It incorporates modern architecture with sustainable fixtures to help it flow with the extensive landscape. 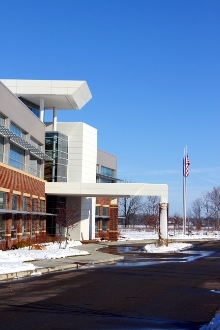 From October 2009 to April 2010 ASCO supplied over 1700 lineal feet of flashing, 1600 feet of channel, 20 pieces of 1/8" infill panels, and a large variety of trim. Most trim pieces required an assortment of saw cuts to allow for ventilation and lighting fixtures. The majority of material was post anodized to ensure a consistent finish for the entire project. All aluminum supplied by ASCO has a high recycled content and is American made.